Could you imagine a world without car theft? Ford has begun experimenting with technology, which aims to enhance car security. Taking this into account, the carmaker hopes to increase the customer experience. Have you ever heard about Mobii? Mobii is Ford’s new in-car technology. With the help of experts Intel, this software is capable of recognising the face of the car owner. How? 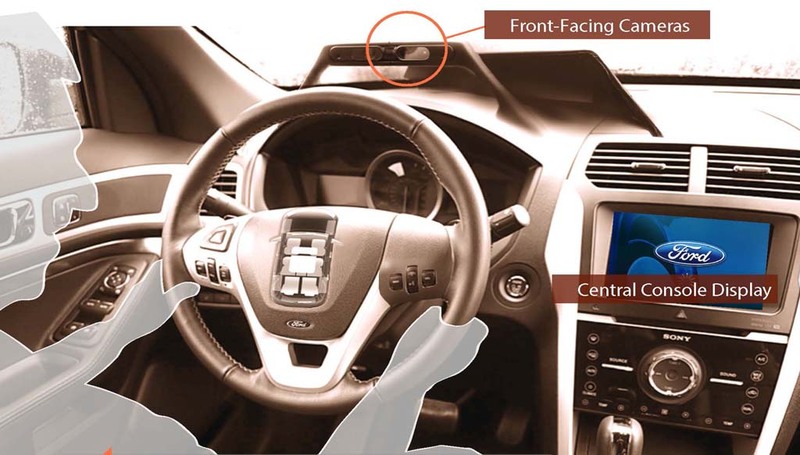 Simply, by using sensors and cameras which monitor the car interior. – If you know the person, you can allow them to drive your car. However, you are capable of imposing certain restrictions. These include a limited speed (very useful for parents), the volume of the radio or even the ability to block users from accessing the in-car phone system. – However, if the person behind the wheel is an intruder, you have the option to lock all the cars features, so the car cannot be driven. This system is therefore useful in the prevention of car burglary as the criminal’s photo is in your possession and they cannot use your vehicle. The in-car camera system also allows you to search the interior of your car to check if you have forgotten something inside. Not to mention, when you start your car, Mobii is able to recognise your voice and hand gestures, so you can interact with the car, without taking your eyes of the road. For example opening the sunroof can be done by a simple voice command or hand signal. Consequently, this system is useful in the prevention of road accidents that are caused by distraction. Overall, the Ford Mobii looks to broaden customer experience, by providing an improved sense of security and additional safety features. Learn more about how you can get the ultimate theft-free car equipped with Ford Mobii today.